When you are trying to conceive or avoiding getting pregnant, the timing of your fertile window is critical. 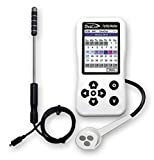 While it’s not easy to precisely pinpoint all your fertile days, there are tools that can help you take the guesswork out and one of them is a fertility monitor. By tracking your ovulation cycle, a good fertility monitor can help to accurately and easily identify the days that you are most fertile, hence keep you up to date with your fertility and ovulation cycle (Source). There are many styles and options on the market, but in this article, we are going to look at the top five fertility monitors that are worth every single penny. Accuracy is a very important thing when it comes to using a fertility monitor. The five options below offer not just accuracy but also quality. Let’s take a closer look at each product. 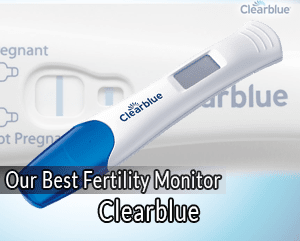 Our top choice is the Clearblue fertility monitor which stands out as the best overall home fertility monitor. 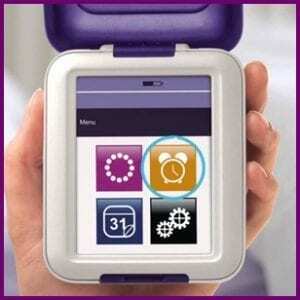 This is an advanced monitoring system that utilizes a non-invasive method to check and track the ovulation cycles. What makes this model stand out the most is the fact that’s its very effective at tracking fertility. It’s capable of identifying all your fertile days, not just the two peak fertility days that traditional ovulation predictors detect. Through simple urine tests, the monitor tracks the changing levels of two key fertility hormones, that is, estrogen and luteinizing hormone. It will accurately help pinpoint your 2 peak fertility days and additional high fertility days just before ovulation. The monitor is ideal for women with either regular or irregular cycles since the fertile days identified by the monitor are personal to you. The unit is pretty much precise with success rates landing at around 82% with 99% accuracy at detecting LH surges. When it comes to usability, it’s a very straightforward device. The results are displayed on a very intuitive and easy to read touch screen. The fertility status is shown as low, high or peak each day that you perform the test. 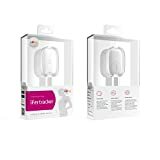 The only setback but not really a deal breaker is that you will have to get the test sticks separately as they are not included in the package. Other than that, the Clearblue is a reliable and effective fertility monitor that’s suitable for women with a wide range of cycle lengths. You can even set a password or pin so that only you can access the monitor. Coming in second, the Lady-Comp is another high-end monitor that’s safe and reliable as far as tracking fertility is concerned. This is an effective fertility monitor whether you want to have a baby or it’s for birth control. The unit accurately measures the oral basal body temperature with sensors rather than test sticks. It compares the temperature pattern with the calculated cycle day to precisely detect and confirm the right timing of ovulation. It requires only around 30 seconds daily to get the measurements. The Lady-Comp is also designed with great usability in mind as it’s very easy to use. It has a simple yet effective light indicator that shows the daily fertility test results as well as fertile periods. The indicator is color coded with a green light for infertile periods and a red light for fertile periods. There is a yellow light which indicates learning or not able to provide a diagnosis for the day. For the most fertile days for conception, the unit indicates a flashing red light. This is based on the previously stored cycles and the stored data. So, it’s quite reliable and it even has a rating of 99.3% accuracy at tracking ovulation and monthly cycles. Generally, there is nothing to hate about this Lady-Comp Monitor. You can perform very accurate ovulation tracking with this monitor. If you don’t want a guess-work approach to determining your fertile and infertile days, then this is another option you should highly consider. The Daysy is a great option if you want something appealing, convenient and effective. With its compact cool white design and intuitive information display manner, it makes tracking your fertility very simple. The monitor gives you either a green, red or yellow light depending on where you currently are in your cycle. Green is for infertile, red for fertile and yellow for the learning phase. The unit can also display a red blinking light which represents ovulating. So, it pretty much covers everything not just your fertile and infertile days. Using sensors to measure your basal body temperature and comparing your daily results against an extensive database, Daysy will deliver precise and reliable information about your cycle. It can determine and show your fertile and not fertile days with an amazing accuracy of around 99.4%. It’s pretty accurate. It learns and tracks your menstrual cycle building up an extensive database that makes it well acquainted with your system. Therefore, it will thoroughly evaluate the cycles that are currently taking place and precisely pinpoint the current phase. If you use it every day you are likely to get 8 to 9 fertile days per cycle. The best part is that you can take a measurement and view your fertility results right there without having to integrate it with a smartphone. However, you can connect it for further analysis and cycle data synchronization via the DaysyView app. Another thing you will appreciate in this Daysy monitor is that you don’t have to take the test at the same time each day. You just have to ensure you measure it right after waking up which is quite helpful if some days you do wake up at different times. You can even set up an alarm via the DaysyView app so that you can never forget to take your temp whenever you wake up. To sum it all, the Daysy fertility monitor is very handy and it’s compact enough to fit into any purse. However, most importantly, it does its job very efficiently. This is an appealing option for someone looking for a simple, well-designed, high quality fertility monitor. 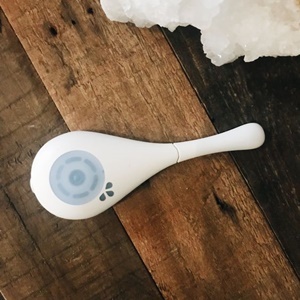 If you are looking for a simple and affordable way of tracking your ovulation cycle, then the OvaCue fertility monitor might just be the right product for you. It’s a very simple and comfortable monitoring device with easy to use reusable sensors. No test sticks nor messy urine testing. It utilizes an oral sensor and a vaginal sensor to measure and track any changes in the electrolyte levels of the saliva and cervical mucus. Through detecting changes in the electrolyte concentration, which represents changes in hormone levels, this OvaCue monitor can precisely predict when you will ovulate as well as pinpoint ovulation. It has over 98% accuracy rating and can provide up to seven days advance notice of ovulation. The best part is that you can connect it to your smartphone where you can view detailed graphic analysis through the OvaGraph app. Generally, the OvaCue fertility monitor is a simple, well-designed device with the ability to precisely pinpoint ovulation. It will track your daily fertility level, predict and confirm the days you are most fertile all through the OvaGraph app where you will get view every detail. For those looking to conceive, then this might be the best monitor for you. It’s suitable for both women with regular or irregular cycles. iFertracker is one of the few first monitors that could track the basal body temperature throughout the night. Furthermore, it’s a nonintrusive smart device. It’s a small, light wearable sensor. You attach it under your armpit during the night where it tracks your BBT throughout the night as you sleep. It captures the data after every few seconds and when you wake up you sync it with the iFertracker app to view the results. The fact that it continuously records your BBT overnight means that it’s able to consistently deliver more accurate readings every time. When you sync it, the app is able to analyze the data and help you pinpoint your ovulation cycle with amazing precision. The sensor also tracks your physiological responses and movements. So, aside from providing ovulation charting and estimating your fertile days, you can also get to view your sleep quality analysis via the app. The best part is that there is no plugging in anything. The device syncs wirelessly with the app, plus attaching it to the armpit is simple. It comes with an adhesive patch consisting of a double-sided sticker that has a hole cut out to accommodate the temperature sensor. It’s comfortable to wear overnight and as well easy and painless to remove. However, the patch leaves some residue on the skin when removed but easily comes off once you are all washed up. It does not irritate the skin which is good considering that it’s meant to be used regularly. The only issue of concern with this monitor is probably the battery. It has a short lifespan, around 30 days. Therefore, you will have invest in a quality battery that can last long. All in all, this iFertracker fertility monitor is a simple and accurate way of tracking your fertility. It’s an ideal option for anyone looking for the best non-invasive BBT monitor. While all fertility monitors serve the same purpose, they differ greatly when it comes to the methods used to measure and predict fertility. They are designed to track either hormonal changes, basal body temperature or electrical resistance of saliva as well as vaginal fluids. There are some other models that utilize a combination of these methods. This is the most common method utilized by fertility monitors. In this case, the monitors work by measuring and analyzing changes in the levels of fertility hormones in your body. You will find monitors that track only the luteinizing hormone LH which is the defining standard as far as determining your fertility is concerned. 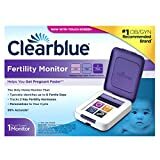 On the other hand, there are some models that track both the LH and estrogen hormone such as the Clearblue fertility monitor. This means that they are able to accurately pinpoint your fertile period. Therefore, the best option here is to go with a unit that measures both hormones so as to get precise results throughout. There are many other fertility monitors that rely only on tracking changes in body temperature. Through analyzing your BBT, these monitors are capable of producing pretty accurate results to help you figure out your menstrual and ovulation cycle patterns. Most BBT trackers use a thermometer to capture the readings and as such the measurements have to be taken immediately when you wake up. There are some models that use sensors incorporated in a skin patch to track and analyze your BBT throughout the night as you are sleeping. These devices record and analyze your body temperature so many times overnight hence are able to deliver a far more accurate prediction of ovulation. In general, the key thing to consider when purchasing a BBT fertility monitor is how often the device takes measurements. The more frequent it is, the more reliable results you will get. A good example here is the iFertracker fertility monitor. Another recognized way of determining fertility is through tracking changes in the electrolyte levels of saliva and as well cervical mucus. Here, most monitors use an oral and a vaginal sensor to measure this changes upon which they are able to pinpoint your most fertile period. Generally, personal preference will play a major role in the type of monitor you will choose. If you want non-invasive method then BBT monitors with patches are much more ideal. But if you don’t mind using test sticks or invasive methods, then you can go with hormone-level detecting monitors. Whether you intend to get pregnant or want to avoid it, accuracy should be your top priority. While you are not going to find any fertility monitor that’s 100% accurate, you want to make sure that you select one that has a pretty high accuracy rate. You should consider fertility monitors that have an accuracy of 97% at the very least. The higher it is the more precise results you will get from the monitor which help you to plan accordingly. Considering that sperm can survive for more than five days in the body, it’s also important that you consider a unit that can identify a much longer fertility period, preferably more than 6 days. This will ensure that you have optimum chance of getting pregnant if you want a baby or, want to avoid it in the long run. The goal of a fertility monitor is to facilitate a hassle-free way of determining whether you are fertile or not. Therefore, it needs to be easy to use and deliver results that are easy to read and understand. There are monitors that come with display screens while others have color-coded indicators. There are also some models that require the use of a smartphone in order to view the results. The former is much better as you will be able to view the result right there without the need for an app. 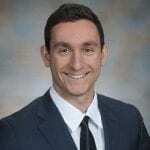 However, either option can be good depending on your preference, but most importantly ensure that the monitor you will choose can record and analyze your data after every test. Doing so means that you will have a monitor that will be able to quickly get well acquainted with your system and as such be in a better position to deliver more accurate predictions. Fertility monitors are indeed essential tools that can effectively aid in determining the most fertile period during the ovulation cycle. You will find all type of designs and styles in the market but only a few can pass the accuracy and quality test. In other words, finding a reliable and effective monitor will require a lot of care and research especially when you are looking to invest in a high-end model. However, you don’t have to go through all that trouble because the five models listed above are the best you can find in the market. So, it’s a matter of choosing the one that feels most suitable to your needs, preference, and budget.